When you open SolidWorks. Hover mouse cursor on arrow next to SolidWorks Logo. This will expand Menu bar on right as beow. 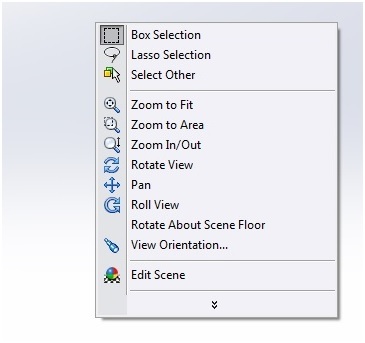 If you want this Menu bar stick to SolidWorks Title then click on Push pin on right. This will stick Menu bar along with Standard Toolbar on right as below. 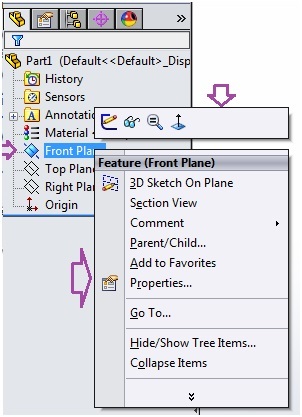 Select ‘Part’ option on above db and click ‘Ok’. Let’s check options to configure SolidWorks UI. 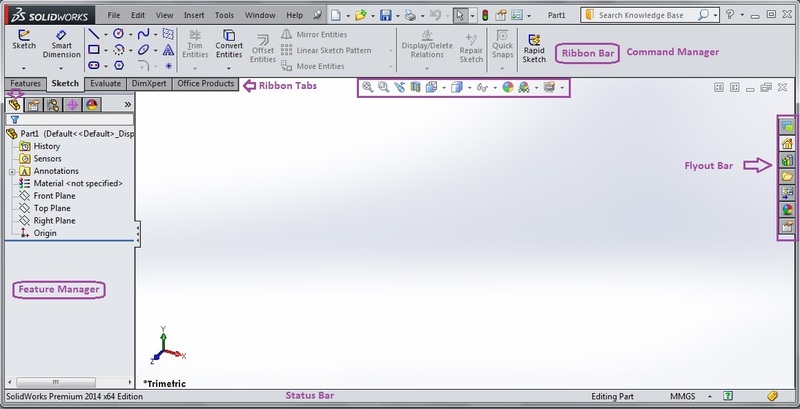 Right click on any Ribbon Tab will open Ribbon Tabs options . 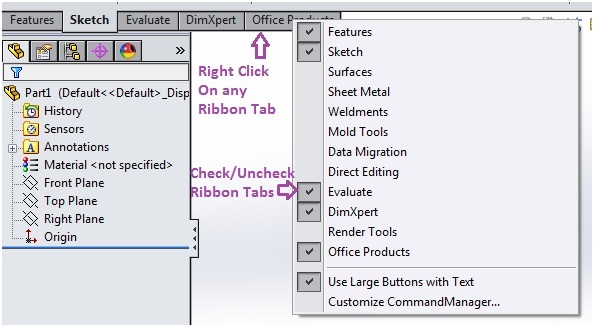 To add Ribbon Tabs on Command Manager check/ Uncheck Ribbon Tabs with mouse left click. 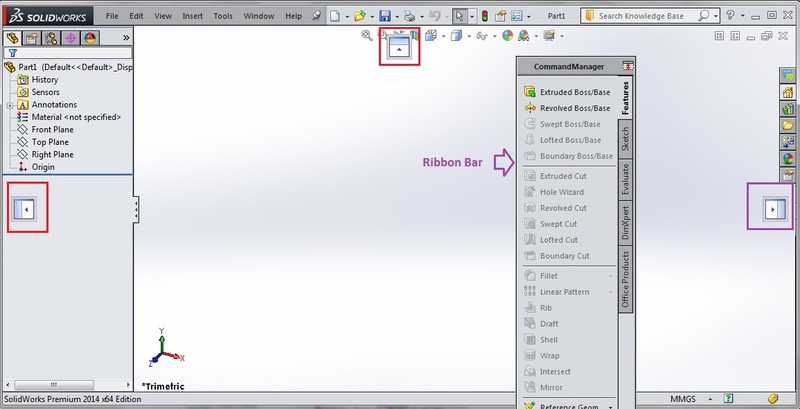 Select and Drag on Command Manager Ribbon Bar inside SolidWorks window. 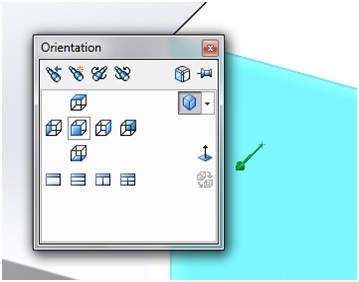 We can doc/undoc this Command manager to any Sides (Highlighted by Red Rectangles) of SolidWorks Window. Right click on blank space in Command Manager Ribbon Bar, this will open List of Toolbars. 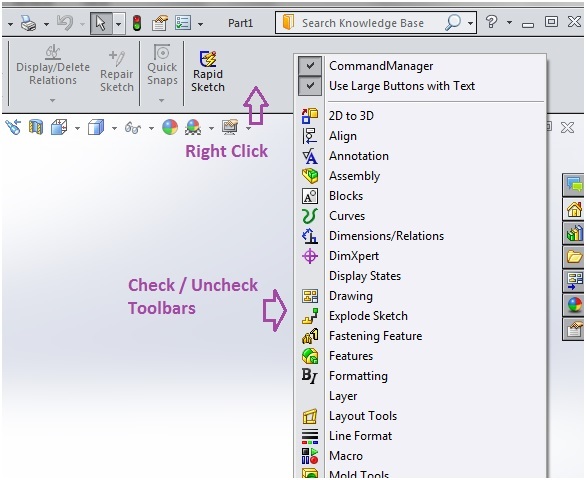 we can add or remove Toolbars in SolidWorks by checking or Unchecking on any Toolbar. 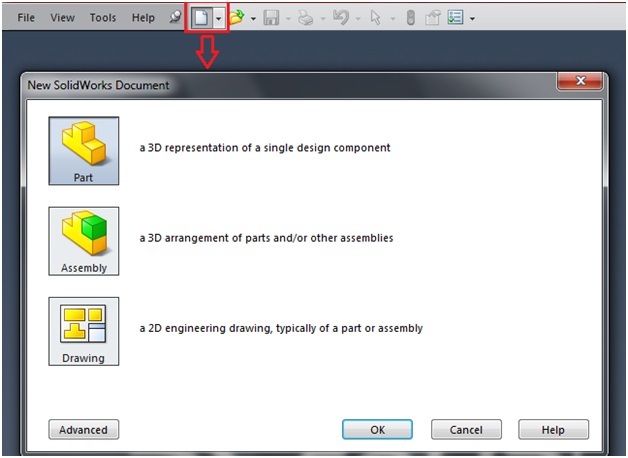 Inside SolidWorks Modelling Space if we press Right Mouse click then this will open commonly used Command Menu list. 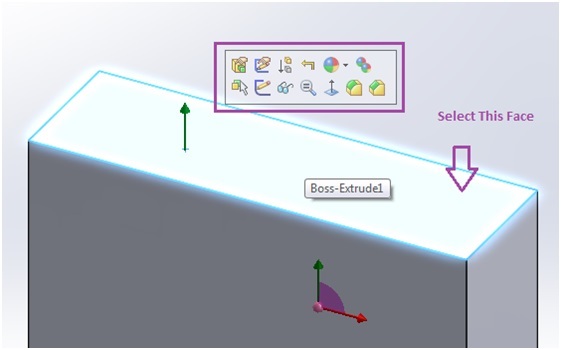 Click on any Command and use inside SolidWorks. If we right click on any Plane inside Feature Manager tree then following List of options shows. We will see these options and their use in next articles. A Context Toolbar appears for further action while modelling. 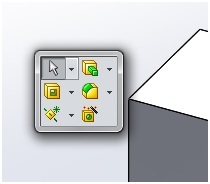 When we press ‘Spacebar’ on Keyboard then Orientation options appear inside SolidWorks. When we press ‘S’ key from Keyboard then Context Sensitive Commands list shows inside SolidWorks. 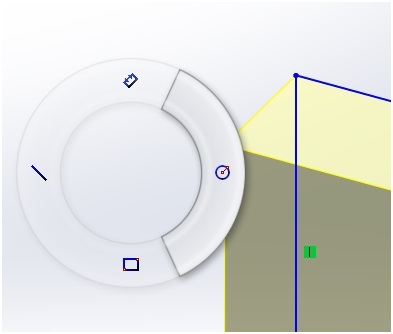 Mouse Gesture donut wheel of pop up when we right mouse click and drag on side of SolidWorks window. We can run any Command inside Mouse Gesture when we slide mouse Cursor over it. 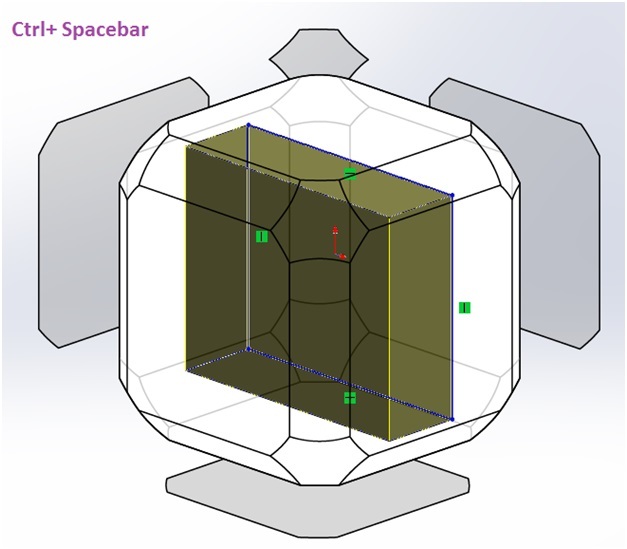 A special View Cube appears when we press Ctrl+ Spacebar key from Keyboard. Click on any face and that view will appear in front of you .